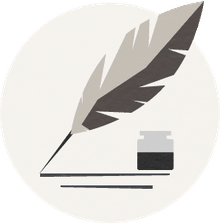 The Black Cat shares many characteristics with Edgar Allan Poe's 'The Tell-Tale Heart': an unreliable narrator, a brutal and inexplicable murder (two, actually), and a murderer whose arrogance leads to his downfall. Both stories were originally published in 1843, and both have been widely adapted for theater, radio, television, and film. For us, neither story satisfactorily explains the murderer's motives. Yet, unlike "The Tell-Tale Heart," "The Black Cat" makes extensive attempts to do so, which makes it a thought-provoking (if somewhat unfocused) story. One explanation that comes up early in the story is alcoholism. The narrator refers to "the Fiend Intemperance" and talks about how drinking changed his formerly gentle demeanor. And it's true that during many of the violent events of the story, he's drunk or drinking. However, we can't help but notice that even though he isn't drunk as he's telling the story, he still shows no remorse. That is, his attitude on the night before his execution isn't very different from his attitude during the other events of the story. Drunk or sober, he's not a likable guy. Another explanation the story offers is something along the lines of "the devil made me do it." 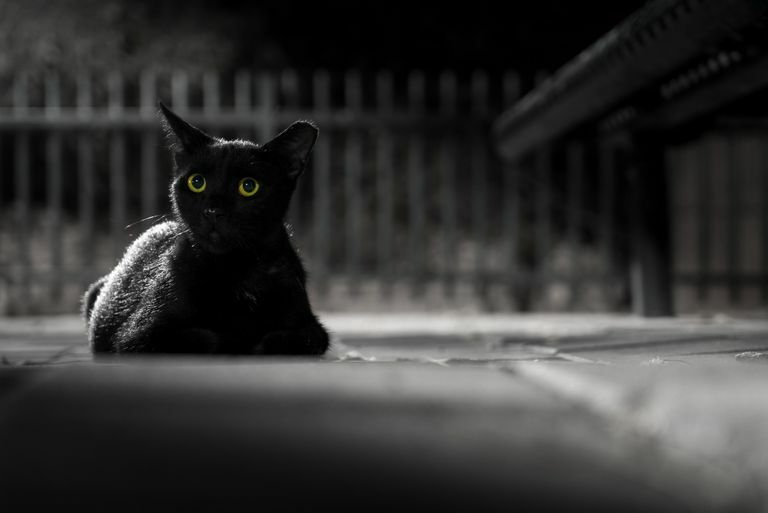 The story contains references to the superstition that black cats are really witches, and the first black cat is inauspiciously named Pluto, the same name as the Greek god of the underworld. The narrator deflects blame for his actions by calling the second cat "the hideous beast whose craft had seduced me into murder." But even if we grant that this second cat, who appears mysteriously and on whose chest a gallows seems to form, is somehow bewitched, it still doesn't provide a motive for the murder of the first cat. A third possible motive has to do with what the narrator calls "the spirit of PERVERSENESS"—the desire to do something wrong precisely because you know it's wrong. The narrator posits that it's human nature to experience "this unfathomable longing of the soul to vex itself—to offer violence to its own nature—to do wrong for the wrong's sake only." If you agree with him that humans are drawn to break the law just because it's the law, then perhaps the explanation of "perverseness" will satisfy you. But we're not convinced, so we continue to find it "unfathomable" not that humans are drawn to do wrong for wrong's sake (because we're not sure they are), but that this particular character is drawn to it (because he certainly seems to be). It seems to me that the narrator offers a smorgasbord of possible motives partly because he has no idea what his motives are. And we think the reason he has no idea of his motives is that he's looking in the wrong place. He's obsessed with cats, but really, this is a story about the murder of a human. The narrator's wife is undeveloped and virtually invisible in this story. We know that she loves animals, just as the narrator supposedly does. We know that he "offer[s] her personal violence" and that she is subject to his "ungovernable outbursts." He refers to her as his "uncomplaining wife," and in fact, she doesn't even make a sound when he murders her! Through it all, she is unfailingly loyal to him, much like the cats. And he can't stand it. "There is something in the unselfish and self-sacrificing love of a brute, which goes directly to the heart of him who has frequent occasion to test the paltry friendship and gossamer fidelity of mere Man." But he himself is not up to the challenge of loving another human being, and when faced with her loyalty, he recoils. Only when both cat and wife are gone does the narrator sleep well, embracing his status as a "freeman" and looking "upon [his] future felicity as secured." He wants to escape from police detection, of course, but also from having to experience any real emotions, regardless of the tenderness, he brags he once possessed.